"An eloquent synthesis of evidence. 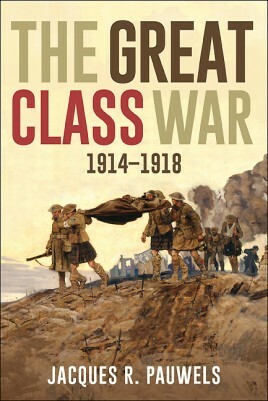 Readers of this masterful book will recognize the extent to which so much of the literature on World War One, with its focus on secret treaties, bumbling diplomacy, inept military leaders, and particular battles simply obscures the fundamental character of the war and its differential impacts on various groups of people." "With this engagingly written account, Jacques Pauwels delivers a popular counter-history of the conflict whose dissenting verve seems long overdue." "Pauwels takes an alternative view of the causes of WW1 and the social and political upheavals that followed as a result of the conflict. Fascinating."